If you want to grab a taste of Munich dishes, you should head to Pulaner Brauhaus located in Millenia Walk. The bar/restaurant will give you a Bavarian dining encounter with their dishes and brewed beers. The dining encounter here is very realistic because of serving of foods in wooden pans or iron pans. You can visit their brewery station. If you want to try here, allot at least S$50 to S$100 for their services. For opening schedules and other inquiries, you can check their website at Paulaner-Brauhaus.com/singapore. If you want to catch the performances of local bands, artists and DJs, head to Home Club located in The Riverwalk. If you want to try here, allot at least S$20 to S$40 for their services. For opening schedules and other inquiries, you can check their website at HomeClub.com.sg. 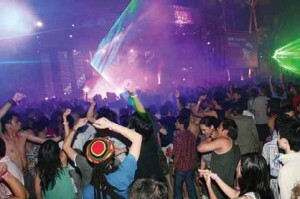 If you want to party non-stop for 24 hours, head to Insomnia located in CHIJMES. Aside from live entertainment, they also offer Asian and Western cuisines. If you want to try here, allot at least S$20 to S$50 for their services. For opening schedules and other inquiries, you can check their website at LiveRockMusic247.com. Aside from the places mentioned above, you can also go to the famous St. James Power Station, Shanghai Dolly, The Pump Room, Crazy Elephant, Timbre, Firefly, The Boiler Room and many more. These places will ensure you have the best time. If in this case you prefer a quiet place and simply hangout after a tiring day’s work, there are bars, cafes and lounges that you can consider. Don’t be discouraged for there is always a place for you.